← Max’s Restaurant Palawan Is Now Open! 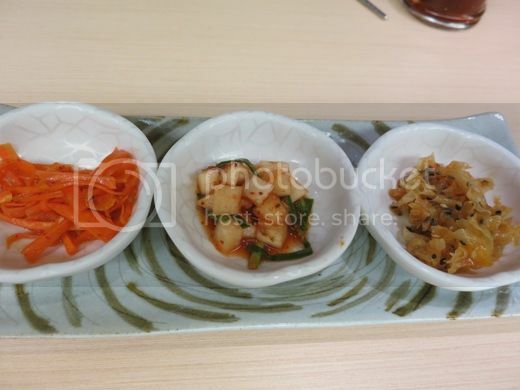 Hubby has been eyeing this newly opened Korean restaurant in Robinsons Galleria for sometime now. We finally got the chance to try Seoul Garden HotPot two Saturdays ago. 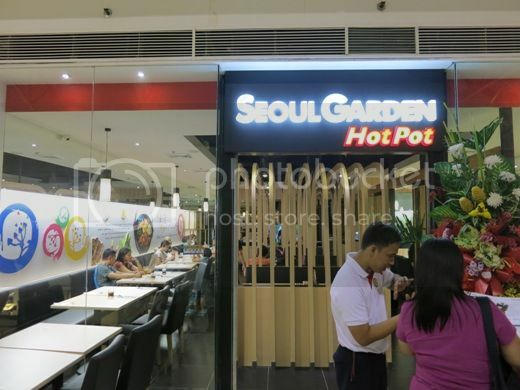 Seoul Garden HotPot occupies the space vacated by Chef d’Angelo. I liked that the place was bright, but it was a little cramped. Service was a bit slow, too. I tried the side dishes, but they did not register with my taste buds perhaps because I was too busy inspecting their menu and looking around to see the people who eat at this restaurant. 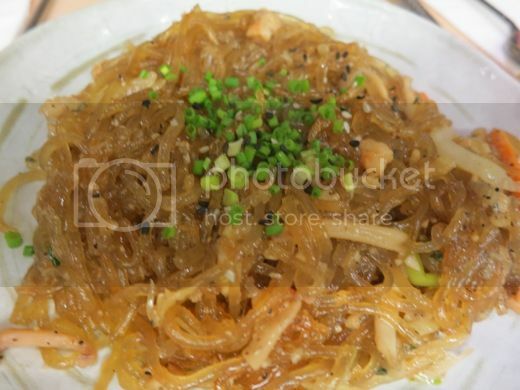 This is actually just sotanghon, otherwise known as cellophane noodles or Chinese vermicelli. The difference between Korean sotanghon and Filipino sotanghon is that Korean sotanghon is sticky with a hint of sourness. I couldn’t actually figure out if I like this or not at first, but after a few tries, I realized that it was okay. It was something I could tolerate. We liked this the least because this was bland. 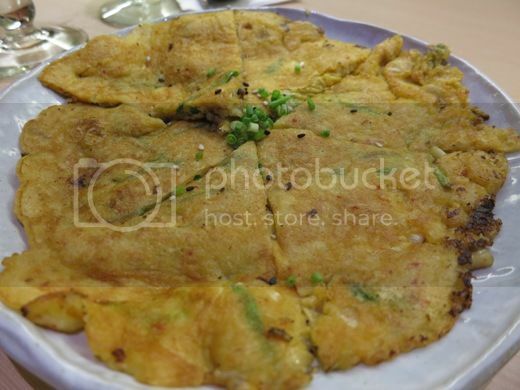 Even the sauce didn’t do much to enhance the taste of this Seafood Pancake. Finally, we found something we really liked! We enjoyed the generous servings of super soft and delicious beef chunks and tendons. 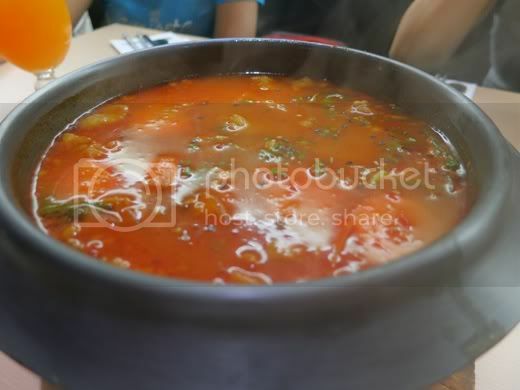 This tasted like Beef Pochero; the only difference is that this hotpot dish was spicy. I think it will take a while before I get used to Korean foods, and yes, it will also take a while before I visit another Korean restaurant. 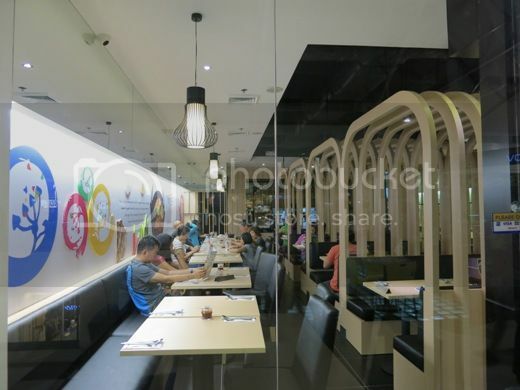 This entry was posted in Food Friday, Food Trip Friday, Korean Cuisine, Restaurant Review, Robinsons Galleria, Uncategorized. Bookmark the permalink. I have a friend who’s very much into Korean food… I will tell this to him so he could try it out, too. Hopping here from Food Trip Friday. Happy weekends! They’re very spicy but yummy! I like that it’s mostly seafood and vegetables. I miss korean food! Super enjoyed their food during our recent trip in Seoul. I love Korean foods, yum! Ive been frequenting korean restos and Ive been to Seoul as well so im kind of familiar with korean dishes. Unfortunately, dishes we ordered in this resto were nothing compared to other cheaper korean food restos/stalls. I guess because they were trying to infuse Filipino taste in their dishes?